My hair has been more than a bit unruly as of late. Seasonal transitions can throw our hair and skin completely out of whack. 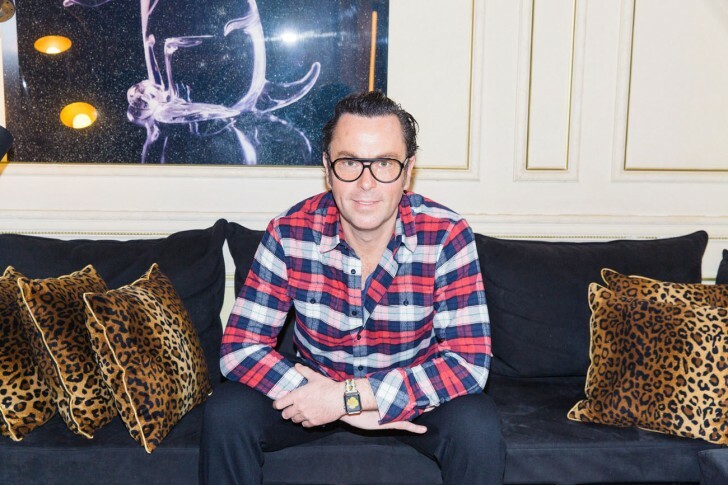 As luck would have it, I was sifting through a number of interviews that I have had the privilege of conducting, over the years, with some of the world’s most renowned beauty experts and came across this one with Christophe Robin. Some times all we have to do is go back to the basics. At 42, I have learned to appreciate my curly situation. Every day is a little different and even if you have the best products – you’ll always have a day where a little frizz infiltrates the system…until now. Until recently, I had to travel to France or St. Barths to purchase these hair care gems. Lucky for all of us, it can now be found in The US. I can’t say enough good things about these products. They keep my hair in line, even on the most humid of days. I have also seen it work wonders on friends with fine or even thinning hair. The Volumizing line is bar none, the best I have seen. Earlier this year, the American Society of Plastic Surgeons reported that as new minimally invasive and cosmetic procedures have emerged, the demand for innovative ways to shape the body has exploded. In fact, body contouring is one of the fastest growing aesthetic treatments in the US. Fat freezing technologies like CoolSculpting®, non-surgical cellulite treatments like Cellfina® and laser skin tightening procedures like Thermage® and Ulthera® are the most sought after treatments. In contrast, liposuction, the once synonymous surgical treatment for liquidating fat, has seen a steep decline. Non-invasive fat reduction methods not only require significantly less down time, but also carry a substantially lower price tag, making body shaping much more accessible. We wanted to learn more about the latest in innovative aesthetic procedures and turned to Mitchell A. Kline, MD, one of the top dermatologists in New York City, and a trusted Travel Beauty expert. Dr. Kline recently introduced a non-invasive fat-busting treatment at his practice called SculpSure®. TB: What is SculpSure® and how does it work? DK: SculpSure® is an FDA-approved, non-invasive body contouring treatment that reduces stubborn fat cells around the abdomen and surrounding area. It is ideal for the treatment of love handles. Using heat-based laser technology it permanently eliminates fat cells. Up to 24% of lipid deposits can be destroyed in a single treatment and most sessions last only 25 minutes. Most patients undergo several sessions during the course of treatment. TB: Why is SculpSure® your contouring treatment of choice? As of late, there has been a major cultural shift relating to the way in which we incorporate wellness into our daily lives. Many of my patients have made a serious commitment to maintaining an overall healthy lifestyle including eating healthier foods, incorporating more exercise into their daily routine as well as getting more sleep. In many cases, despite their best efforts, some areas of the body show no signs of improvement. Often this is a result of genetic programming and age. When your DNA refuses to get with the program, SculpSure® can effectively eradicate that last stubborn area of seemingly untouchable body fat. Patients report that their clothes fit better, and more importantly, they feel more comfortable in their own skin. Time efficiency is also extremely attractive to patients who are busy and on the go – which is pretty much everyone. Additionally, compared to the alternatives, patients experience much less discomfort. TB: What results are you seeing with SculpSure®? On average SculpSure® can eliminate up to almost a quarter of fat cells that reside directly under the skin. Many patients start to see results in just six weeks. These are phenomenal results, particularly for individuals that have painstakingly tried everything to no avail. That said, everyone is different. During the consultation, I discuss the procedure at length, with my patients. We agree upon realistic goals that are achievable. Generally, by the third or fourth treatment we see the most impressive outcomes. Some patients have dropped a full dress size (for the first time in decades!). One patient trimmed 1.5” off her waist in two months with only two treatments. TB: Who is a good candidate for SculpSure®? DK: Candidates considering this procedure must undergo a consultation in order for us to asses if SculpSure® is right for them. A common misconception with regard to body contouring devices is that they can be utilized to assist individuals seeking significant weight loss. This is not the case. The best candidates for SculpSure® are those who have isolated areas of excess fat that they wish to address. TB: With so many innovative technologies, what will the future of body contouring will look like? DK: I expect that technologies like SculpSure® will be combined with other treatments like non-invasive tightening and Radiofrequency Microneedling to achieve total body rejuvenation. We are emerging from an exceptionally wacky winter. The weather has been so unpredictable. We’ve had exceedingly cold weeks with snow storms in, what is officially, Spring sprinkled with the odd 60 degree day here and there. These conditions not only drive us out of our minds but also leave our skin in a tizzy, stripping the hydrolipidic film from the surface. (This is a thin barrier that sits on top of the skin, ensuring suppleness and protection from bacteria.) This can leave skin sensitive, dry, dull, reactive and even a little spotty. 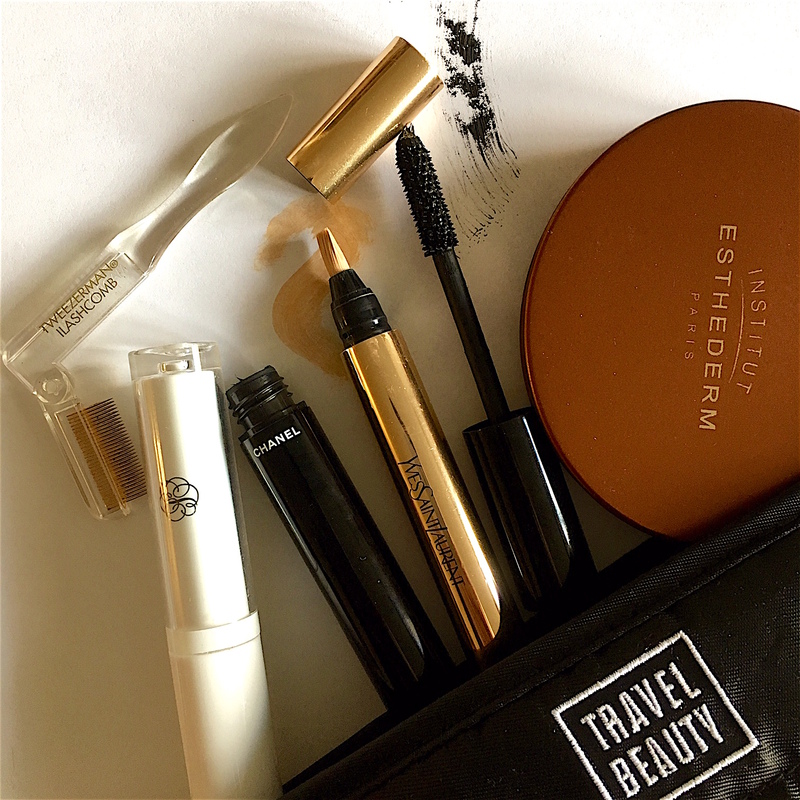 Here are some of the Travel Beauty team’s favorite transitioning into Spring beauty boosters. If your skin is feeling out of sorts, it probably needs a little extra tender loving care. Sapelo Skin Care Rejuvenating Cream is an all-natural, botanical moisturizer containing gardenia plant stem cells and a high concentration of colloidal platinum peptides (which have undergone phase III clinical testing – the gold standard of trials). These ingredients hydrate, reduce wrinkles and boost collagen production. In short, this light, airy, anti-aging moisturizer delivers on its promise. It truly turns back the hands of time — at least as far as your skin is concerned. Just because temperatures are cold and crisp doesn’t mean you should ignore your body. Keep your eyes on the prize. The time you invest today will pay off in spades come swimsuit season. Now is the optimal time to indulge in a skin tightening, cellulite fighting body lotion, especially one that activates collagen, elastin and hyaluronic acid production in deep skin structures. Typically anti-aging ingredient can only be found in facial skin care – not in body products. EVENSWISS Refining Body Complex is a body wrap in a jar. It leverages a patented peptide complex, Dermatopoietin®, that increases skin’s elasticity and firmness, smooths the appearance of cellulite and helps slim down thighs and arms. This body-tightening booster has undergone clinical trials, is dermatologically proven and backed by 30 years of scientific research. In other words, it works! Seasonal transition periods are also a great time to treat yourself to a weekly mask. Deborah Mitchell, British aesthetician to stars and royalty alike (we’re talking Camilla Parker Bowles, Kate Middleton, Victoria Beckham, Katy Perry and the list goes on….) 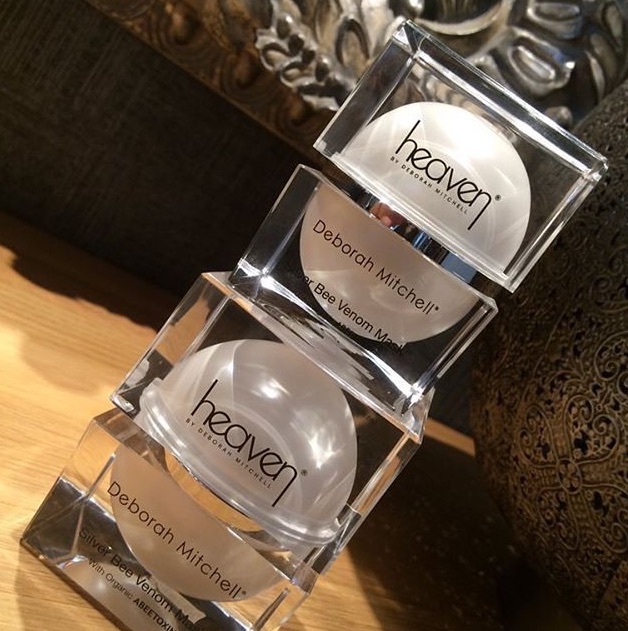 has formulated Heaven Skincare’s world-renowned Bee Venom Mask as a natural alternative to Botox injections. The active ingredient, ABEETOXIN™ (or “Beetox”), is based on bioactive bee venom compounds, with venom derived from inducing bees to sting (with no harm to the bee, of course). Skin is naturally stimulated to produce collagen and elastin as a defense. This reaction works to control the facial muscles for immediate lifting, tightening and firming. It also contains Manuka Honey, renowned for its soothing and healing properties. It can be used as a moisturizer for those that live in humid climates or have oily or combination skin, applied over moisturizer and left on all day for those with dry and/or mature skin, or as a 15 minute mask. Heaven Skincare Silver Bee Venom Mask can also be applied over eye cream for a little extra added wrinkle ironing action. Whether you are stressed, tired, traveling or just had too much for dinner last night, banish under eye imperfections with Institut Esthederm Lift & Repair Eye Contour Lift Patches. This treatment contains caffeine, sodium hyaluronate (the same active ingredient found in injectables) and algae extract to wake up your eyes. Think of it as a mini microcurrent facial in a patch. You won’t believe the difference ten minutes makes. Under eye masks are the ally of choice for many celebrities during award season, and more importantly, for me! Ten months ago, at 40, I became a mother. As a marketing executive turned entrepreneur, I’ve always spent 80% of my time at work. The addition of a baby has been quite an adjustment. I’m still working like a machine but have had to tweak (OK maybe more than tweak) my routine in order to accommodate the even greater deficit of time that a baby brings to the mix. In short, the no makeup look has become an absolute must for me. My repertoire consists of seven steps (but can be cliff-noted a bit – just skip step 1A and 4A). Ironically, makeup is the least important part of the no-makeup look. What separates the women from the girls is investing a handful of minutes, every day, to establish a consistent self care ritual. Not everyone is going to cleanse, apply two serums, a moisturizer, face oil and under eye cream…like I do – yes, two serums. That said, the secret behind an authentic no-makeup look is having beautiful, healthy skin to build-on. If you make the commitment to nurture your skin upfront, you’ll save a ton of time and energy in the long run. Five to six minutes (seven tops) is all you’ll need. Sounds easy enough – right? But at night, after a long day, the thought of taking your clothes off before climbing into bed may be daunting enough, let alone dragging yourself into the bathroom to wash your face and remove your makeup. The good news is there are multi-tasking products out there and they save loads of time. Why use four products when you can use one? 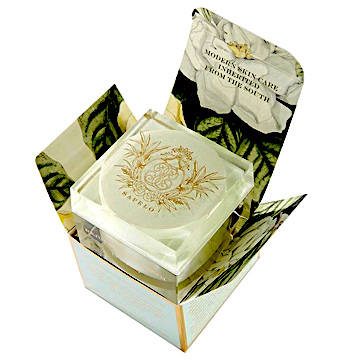 Emma Hardie Moringa Cleansing Balm is an award winning, quadruple-threat spa in a jar. This British import is a moisturizing, deep-cleansing, exfoliating, makeup-removing cleanser, mask and leave on overnight treatment (I also use it as a lip mask) that doesn’t strip the skin of its essential oils. The key ingredient, moringa, is a superfood that contains nine essential amino acids, Vitamins A & C, Iron and Calcium and is packed with protein and antioxidants. Medical research has revealed that it not only calms inflammation in many tissues of the body, including the skin, but also helps lower blood sugar and cholesterol. I also brew a tea, daily, made from ginger, moringa and lemongrass. 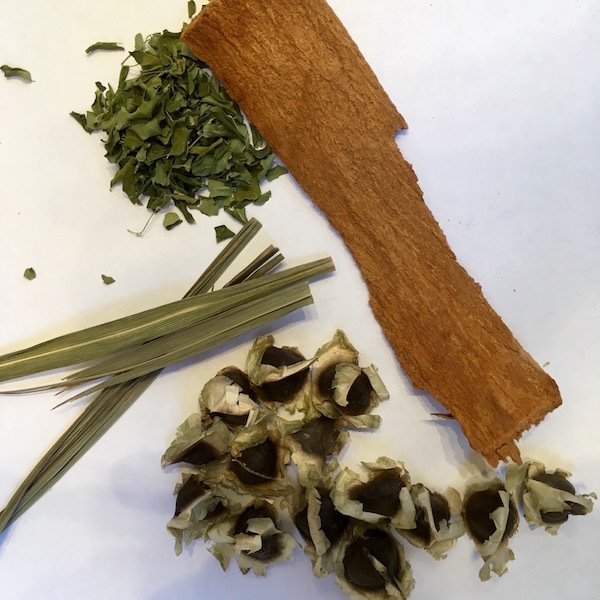 This concoction is known as Bush Tea on many Caribbean Islands and is often the first remedy administered at the onset of a cold, flu, headache…well anything. I am a big believer in holistic beauty – take care of your insides and it will reflect on the outside. I happened upon an exceptionally high-tech line of cosmeceuticals in Switzerland called EVENSWISS, which is backed by 30 years of scientific research. This revolutionary anti-aging (or pro-aging – I’m actually ok with calling a spade a spade) skin care line utilizes cutting-edge signaling technology along with pure concentrations of a unique patented complex to promote the skin’s elasticity by sending signals to cells in the deepest layers of the dermis. These signals stimulate cells to produce increased collagen, elastin and hyaluronic acid, literally regenerating new healthy skin cells. EVENSWISS Rich Regenerating Cream, the star product of the line, is an ultra light formulation ideal for sensitive, reactive and/or dry skin as well as pregnant women. Pregnancy can interfere with normal cellular activity and send skin into a tizzy. EVENSWISS’ moisturizer nurtures and repairs stressed skin. If you have beautiful, thick, long lashes, they can never be voluminous enough and if you are in need of a lash and/or brow boost, you MUST try Jessica Johnson Classic Beauty Brow and Lash Conditioning Serum. Just apply a light coat above your upper lash line and/or on brows before bed. This is the real deal and it not only spurs hair growth but conditions as well. I have tried a number of reputable, over the counter lash serums only to have an allergic reaction. I had no sensitivity with this conditioning serum and it really works. You’ve now finished your mascara application. What’s next? Take a damp Q-tip and sweep it across your under eye area to ensure that no mischievous mascara flakes have set up house there. Sweep the area again with a dry Q-tip to soak up excess water. At this point, I apply an under eye cream. (Skipping this step? Go straight to step five.) If you prefer more of a serum-like texture I recommend EVENSWISS Rejuvenating Eye Complex. If you are partial to a creamier formula, try Emma Hardie Age Support Eye Cream. They are both fantastic and you will see results. I almost forgot the lip gloss. Lancôme Juicy Tubes are my old stand-by. I know they’re old school but they keep my perpetually chapped lips moist and the colors are ultra shimmery – which I love. Marshmallow Electra is my favorite color. We are infatuated with beauty experts, entrepreneurs and products that empower women to take care of their skin holistically. Women in the U.S. are beginning to understand that the hunt for a miracle in a bottle is akin to the search for the holy grail – it simply doesn’t exist. Instead we may need to learn more about ourselves and our skin and develop habits that will take care of it over time. The move to what I call holistic preventative skin care has finally landed on the shores of the U.S. and is starting to take root. A significant part of this movement is not so much about putting a band aid on skin problems once they occur but taking proactive steps to nurture and protect the dermis so imperfections never have a chance to emerge. Instead of using harsh products and procedures that break the skin down to build it up, the idea is to use ingredients that work with the skin’s natural functions to boost its health and luminosity. Emma Hardie is considered to be a leading pioneer in natural healing and skin rejuvenation and is the most accomplished holistic aesthetician in the UK today. She is known for treating the skin from the bone up. I had the opportunity to sit down with Emma to discuss her approach to skin care. How did you land in the skin care industry? 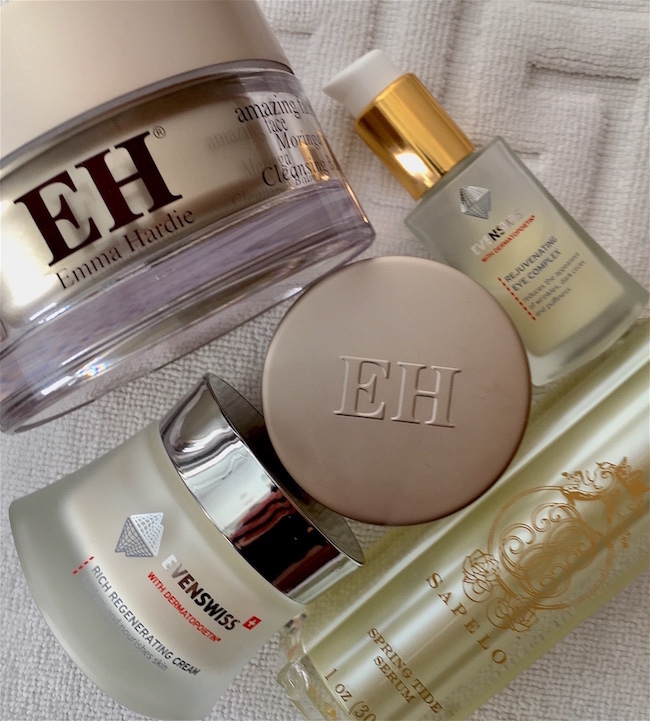 EH: I developed a facial and skin care range based on the research I had done. Skin is living. I discovered it is possible to optimize the skin’s natural functions by working with it, using hi-tech, plant based ingredients to build it up instead of using harsh ingredients and treatments to fight against it. EH: So much! I love immersing myself in the research – the R & D piece of the work is fascinating. Understanding the human body and ingredients at the atomic level and how they interact with each other is fascinating. I also love educating people on the process - empowering women to heal themselves naturally and see results. What is the most important piece of skin care advice you give your clients? 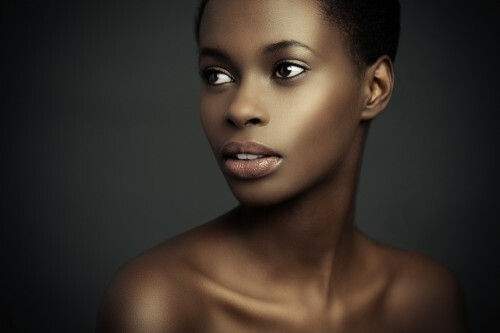 EH: Use a nourishing cleanser, moisturizer and SPF product regularly. The emphasis should be on the massaging technique. 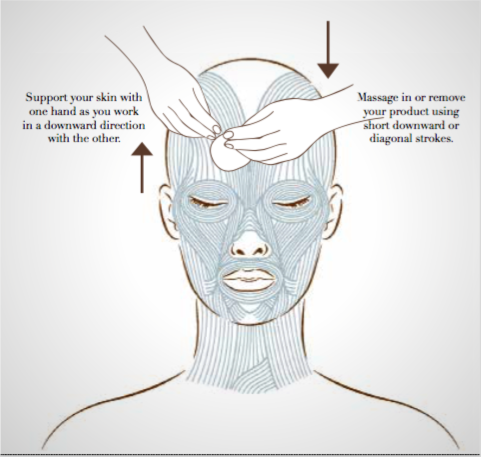 All must be applied in downward or cross hatch strokes, working with the grain of facial tissue and lymphatics. It brings up the water levels in the skin, allowing products to penetrate deeper into the layers of the dermis and promoting lymphatic drainage. This process optimizes the skin’s ability to carry out its activities at the cellular level. Using a microfiber wash cloth boosts the efficacy of the process. staying out of the sun and drinking water are incredibly important as well. If you are dehydrated the organs of the body can’t work optimally – this includes the skin. If you had to recommend a single product that you would encourage people to splurge on, what would it be? EH: A neck product. Beauty does not end at the chin. The neck supports the face and creates a complete structure. It should all be beautiful. The neck and chest area are the loveliest part of a woman, not to mention one of the most erogenous zones. A graceful neck makes one look elegant like a swan and more importantly makes a woman feel elegant. A neck serum enables the skin to absorb creams more readily and together correct issues that may be present. I just love serums. What is your process for creating products in your range? EH: It takes passion and loads of work. First and foremost, it’s about the face. Breaking it down and determining what bits deserve the most attention and Emma Hardie love. Teamwork is crucial. The best results come from working in an environment where you have the freedom to be creative and have fun. We also do a great deal of product testing, market research and trials. We are creating products for people we don’t know and that’s hard – everyone has her own preferences for product texture and smell – I want to make effective skincare that makes women feel comfortable. Products that sit seamlessly under foundation, smell pleasant and stimulate the olfactory senses. There has been a shift in attitudes surrounding the term anti-aging as it relates to skin care. What are your thoughts? EH: Age has many positives. We become more mature, wiser and more at peace with our surroundings and ourselves. We also begin to embrace change, investing more time in taking better care of ourselves as we get older. We need to work with our bodies to enable them to change gracefully. If we are always fighting against the changes that begin to occur in our skin as we age, we will not look natural. Instead, we can use ingredients that help our skin look and feel great at any age. Fighting age with abrasive products and treatments cause irritation, damage the skin and in many cases accomplish the opposite of what we are trying to achieve.